1 ARTISTIC EXPRESSIONS: The 55th annual incarnation of the juried fine arts show, a fundraiser for Boulder City Hospital, will fill several downtown parks Saturday and Sunday. The show, to be held in Bicentennial, Escalante and Wilbur Square parks, also features fine and traditional crafts. There also will be live demonstrations and entertainment. Hours are 9 a.m. to 5 p.m. both days, and admission is free. More information is available at http:// bchcares.org/foundation/art-in-the-park. 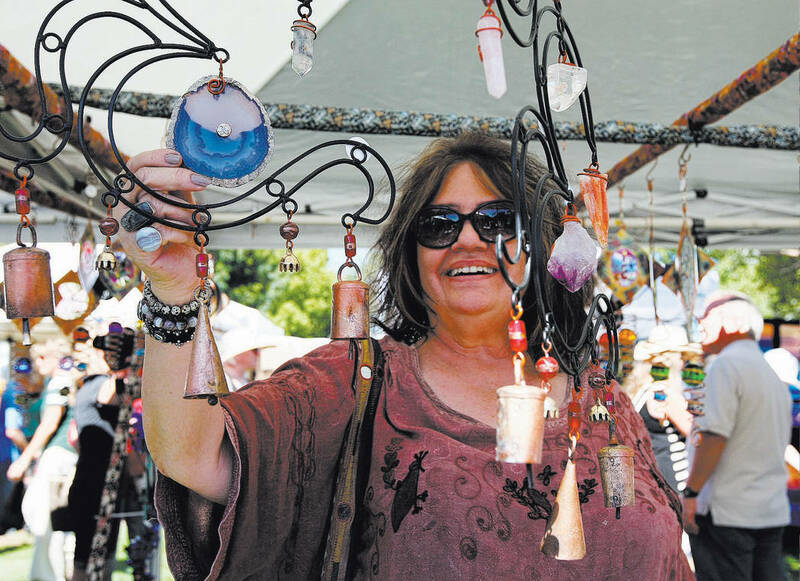 Kay Koning looks at handmade wind chimes during the 2017 Art in the Park festival in Boulder City's downtown parks. This year's festival will be held from 9 a.m. to 5 p.m. Saturday and Sunday. Lindy-ana Jones and the Temple of Swing will perform live music for an evening of swing dance Saturday, Oct. 6, at the Los Angeles Department of Water and Power building, 600 Nevada Way. 2 FISHING FUN: Join the Nevada Department of Wildlife at the Hemenway fishing pier from 7-9 a.m. Saturday to learn the best way to catch a fish. They will have fishing tips, as well as a limited amount of bait and gear to check out. Note that fishing licenses are required for those 12 and older. Reservations are encouraged and can be made at register-ed.com/programs/nevada/210-angler-education. For more information and directions, call 702-486-5127, ext. 3850. 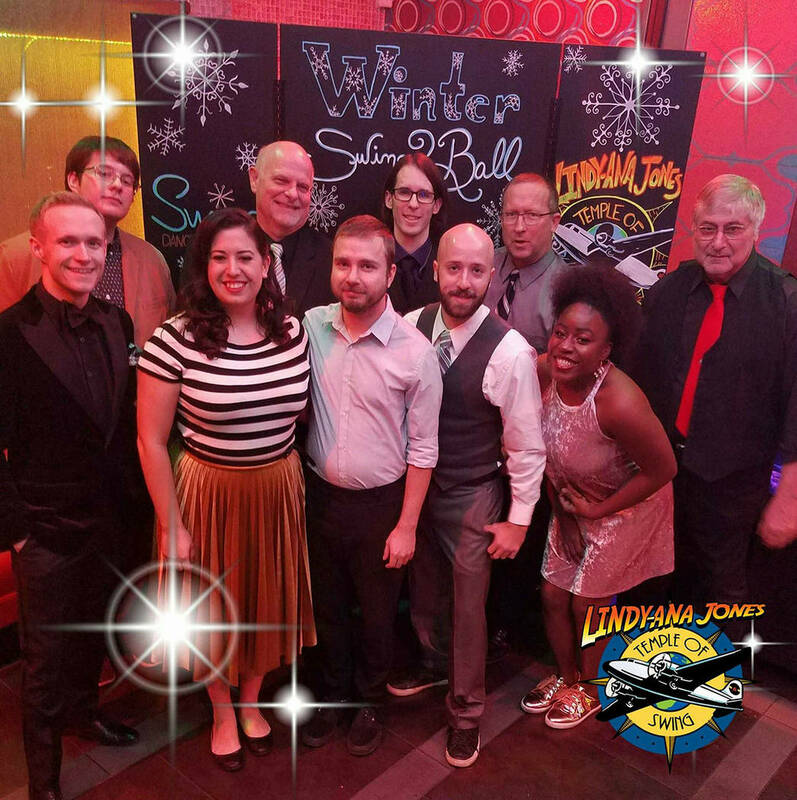 3 SWINGIN’ GOOD TIME: A swing dance with live music featuring the seven-piece ensemble Lindy-ana Jones and the Temple of Swing will be presented Saturday evening, with proceeds benefiting the Dam Short Film Festival. The dance will be held in the Los Angeles Department of Water and Power Building, 600 Nevada Way. Doors open at 6 p.m., with lessons for beginners from 6:15-6:45. Admission is $20. Visit https://www. facebook.com/events/298315724311804 for additional information.